Elevators for the handicapped and disabled. The elevators or lifters for the handicapped offer an immense source of help to the daily activities for those individuals that have illnesses that impair the ability to walk. Regular lifts that have the built-in platforms also help the handicapped to access the elevators with a wheelchair given the fact that the elevator possesses the weight capacity and widthness to fit the wheelchair. 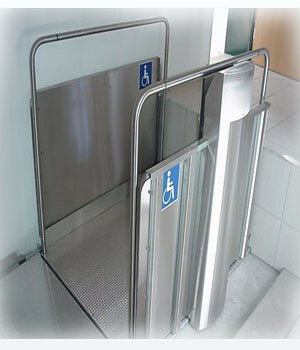 There are many existing types of elevators for the handicapped, including lifting platforms, ramps, chairs suitable for stairs that are all usually installed along the entrance sidewalk of many buildings or elevators. Handicapped elevators for stairs are usually available right next to the side of the wall of each building. There is a specific space to place a chair in order to lift the handicapped individual and the other part of the stairs leaves another space to allow individuals walk up the stairs. There are also elevators for households composed of only one member; these elevators are installed just like any other regular elevator out there. Elevators suited for wheelchairs are a great aid to handicapped individuals due to the fact that they help to avoid the stairs and are very easy to install. As a plus, they also come with protection systems even though they are very safe overall. 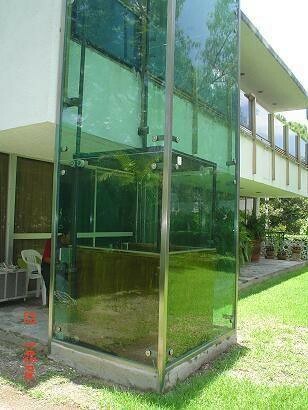 This is another type of elevator for the handicapped and they can be installed in any place. There are also elevators equipped for the handicapped that consist of a platform which can be accessed with a wheelchair. This platform is very similar to that of conventional elevators; it can be installed outside of the premises through an entrance door. This type of elevator for the handicapped is completely covered thereby being protected against rain and other weather conditions. Other types of platforms include those that can be used in stairs. Two types are suited for wheelchairs and normal chairs without wheels. Platforms suited for wheelchairs are installed next to the stairs along a two-lane expenditure, once the wheelchair reaches the end of the stairs it is adapted for the flat surface of the regular floor so that the wheelchair can be moved freely afterwards. The platform has the advantage to be folded to occupy less space. The other type of platform is the one where the individual can go seated. This platform is similar to the previous one and both can be adapted for straight or curved stairs. They also expand in two lanes in an up-and-down direction. 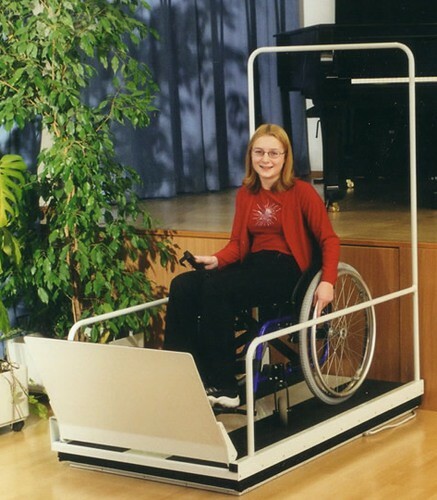 The main advantage of this platform is that the individual can go seated in the wheelchair since the seat can be folded in order to access with a wheelchair. All these elements are the main components of a building’s structure. They are ready to be used once they are installed in their activation and interior. These handicapped elevators always require the technical expertise of the personnel from the company in order to installed and activated. They also require special maintenance and technical service by the same personnel.